There is no question that this world feels more than a bit broken these days. Over this Thanksgiving holiday, we took in three films that all deal with our shared past, present, future imperfect in poignant, heartrending, riotous, and allegorical ways: Boy Erased, The Front Runner, and Isle of Dogs. In essence, all three deal with the fact that our world is governed by people who don’t always have our best interests at heart … nor, in fact, have any interests but their own in mind. Boy Erased, based on Garrard Conley‘s best-selling memoir, is a gut punch with a surprisingly light touch – as much about family, faith, being true to one’s own self, and integrity as it is about the horrors of gay conversion therapy. Directed with a balanced and nuanced approach by Joel Edgerton (who also plays the head conversion “therapist” with a refreshing lack of Snidely Whiplash-ism), the film withholds judgment on well-meaning parents whose hearts are in the right place even if their actions couldn’t be more out-of-touch. Nicole Kidman and Russell Crowe are absolute magic as an Arkansas couple whose capital-C Christianity defines every square inch of their lives. He is a pastor AND runs a Ford dealership where the salespeople begin each day with a group prayer. Ah, the American Southland. Am I being judgy? Ah well. The chief strength of the film is how believably this trio of acting pros – Kidman, Crowe, and Hedges – weaves together a family dynamic that is sad and warm and funny and never melodramatic. This is an essential film and must be viewed by everyone, particularly those arrogant and hypocritical enough to weigh in on social issues that they lack the empathy to fully comprehend. What is it about Australians – like Crowe and Kidman – that they are capable of translating the American experience to film better than most Americans? And here we have fellow Aussie Hugh Jackman offering a pensive, detailed, reserved, dynamite turn as 1988 presidential hopeful Gary Hart in director Jason Reitman’s stellar flick The Front Runner. 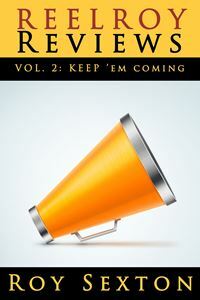 Jackman is aided and abetted by the always magnificent Vera Farmiga as Hart’s long-suffering but never victimized wife. Jackman and Farmiga are a formidable acting combination, and I would love to see them do something again soon. Reitman has surrounded his leads with a fantastic supporting cast – including exceptional JK Simmons and Alfred Molina as two sides of the same benevolent puppet-master coin, the first as Hart’s campaign manager and the latter as The Washington Post’s editor. Furthermore, Reitman uses the controversy surrounding Hart’s infidelity which derails his campaign as a sharp-eyed allegory on today’s contentious and never-ending donnybrook between politicians and news media. Is a public figure’s personal life fair game for the media? Is a private transgression a worthy public measure of integrity? Do people care, or do they only care when it benefits their party of affiliation? And what of the ongoing invisibility and disposability of women in said process, be they spouse or mistress or aide or voter? The film raises all of these questions in the context of what once seemed a charmingly bygone era, yet offers us, today, no easy answers. Significantly, Reitman turns the mirror on ourselves, challenging the viewer to assess his or her own culpability in perpetuating this madness, and that is a marvelous hat trick. But would you believe me when I said that the best and most pointed analysis of our current milieu comes from what is ostensibly a children’s animated film about dogs banished to a garbage heap island by a Japanese magistrate who prefers cats over canines? I predict masters theses will be written about Isle of Dogs at liberal arts colleges and universities all over the land 20 years from now. I’m not crazy about director Wes Anderson. Twee sarcasm is not usually something that screams “great night at the movies” to me. His Isle of Dogs (now on home video), blessedly, is anything but. Imagine Richard Adams’ novel Plague Dogs or George Orwell‘s Animal Farm adapted to film by Quentin Tarantino, using Manga-stylized puppets and stop-motion animation. Isle of Dogs is sweet-natured yet caustic, escapist yet blisteringly critical, whimsical yet horrifying. If there is a movie that pushes and explores and avails itself of every inch and vista what the artsy fartsies call “cinema,” this is it. The script is layered and thoughtful and addresses everything from animal rights to totalitarianism to the twin toxicities of apathy and wishful thinking. The film’s core message, beyond that we should be kind to animals and to each other and that tolerance and inclusion heal? It’s this: if you want this damn world to change, get in there and change it. Anderson seems to be directly addressing any children watching his film that if you see oppression or evil, take it upon yourselves to stop it. Adults are too fat and lazy to care. The young human protagonists in this film are heroic in a way that goes beyond the fantasy role-playing of, say, Dorothy Gale or Katniss Everdeen, presenting young audience members with salient and actionable examples to follow. Oh, and the voice cast is to die for, including Bryan Cranston, Scarlett Johansson, Ed Norton, Bob Balaban, Bill Murray, Jeff Goldblum, F. Murray Abraham, Greta Gerwig, Tilda Swinton, Liev Schreiber, and, yes, Yoko Ono. The titular dogs are, yes, adorable but with agency and surety and never one moment of infantilism. Thanksgiving is a time of reflection and appreciation. It’s also a time to think about what’s next and where you want to go. This seemingly serendipitous combination of films does indeed add up to a pretty important road map. One worth following. For that, I am thankful. These words rang in my ears the other week when I crashed a rehearsal of The Penny Seats’ summer production Elektra (as adapted by Ann Arbor’s own Anne Carson) for a sneak peek of the glorious mayhem that is sure to delight audiences at the West Park Band Shell July 10 – 26. 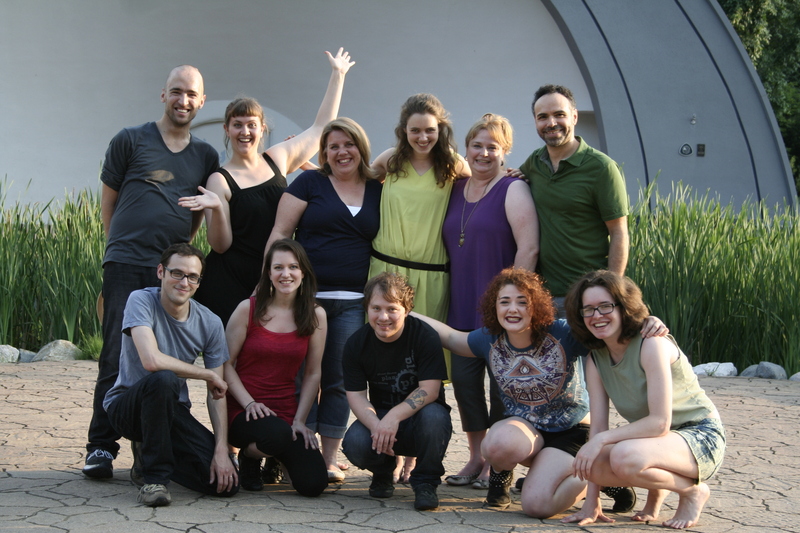 In the spirit of transparency (oh, how I do hate that overused expression), I am one of the founders of The Penny Seats, and I held featured roles in the company’s first slate of offerings: Goodnight Desdemona (Good Morning Juliet), What Corbin Knew, She Loves Me, and Little Me. However, to reclaim some balance in my personal life, I stepped off the board last year and am just a blissfully unencumbered theatre-goer this summer. “The very beauty of live theater is the human exchange.” From what I saw of Elektra’s opening scenes, that quality is evident by the bucket-ful. Portraying the title character, Ypsilanti’s Emily Caffery, who recently appeared onstage at both Performance Network and Two Muses Theatre, captures the visceral heartache of a daughter betrayed as her family unravels before her very eyes. For those unfamiliar with the tragedy, Elektra details the revenge scheme the title character and her brother Orestes exact upon their mother Clytemnestra and step father Aegisthus, in retribution for father Agamemnon’s murder. The action takes place in Argos, shortly after the Trojan War. Caffery, a student of the Eugene O’Neill Theater Center’s National Theater Institute, notes, “This translation is not stuffy. The piece is very recognizably human. It is immediate and real, and I am using the text as much as possible to bring each image to life.” Indeed, her Elektra is violent yet empathetic, adrift yet fierce, inconsolable yet laser-focused … Dorothy Gale by way of Katniss Everdeen. Remaining cast members include Samer Ajluni (“Old Man”/“Aegisthus”), Scott Wilding (“Orestes”), DeAnnah Kleitz-Singleton, Sarah Lovy, Katherine Nelson, and Kez Settle. Like Marquis and Caffery, these accomplished thespians have all appeared in venues across Southeast Michigan: Hillberry Theater, Abreact Performance Space, Waterworks, Wild Swan, Planet Ant, JET, and more. Director Russ Schwartz along with assistant director JP Hitesman are mining the material for contemporary resonance – familial discord, jealousy, anxiety in wartime, sexism, ageism – and are layering in a light amount of cheekiness to keep their audience engaged (and to highlight the darkness that much better). For example, keep your ears open for Ajluni’s marvelously witty take on the expository tale of Orestes’ “death” by chariot race – imagine Ben-Hur as told by an announcer at the Belmont Stakes. In the play’s opening scene, Elektra declares, “I act because it compels.” In the context of the play, this proclamation indicates an urgency of movement, but, witnessing this intrepid band of actors exercise their talents, these words take on double meaning. Indeed, they do act because the very doing compels – compels the hearts and minds of both performers and audience. And I, for one, can’t wait to see the finished results! 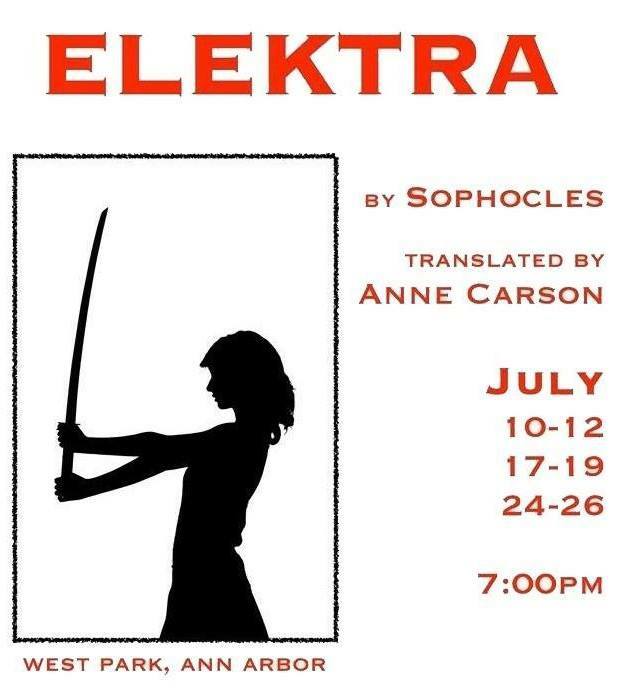 Elektra opens July 10 and runs through July 26. Shows are Thursday, Friday, and Saturday at 7 pm, and tickets are $10 per person. You can purchase tickets at www.pennyseats.org or by calling (734) 926-5346. Patrons may want to may want to bring blankets or camp chairs to sit on, as the tiered seating around the pavilion does not have back support. The company has partnered with a local caterer to have food on-site, and picnicking (beginning at 5:30 pm performance nights) is encouraged.